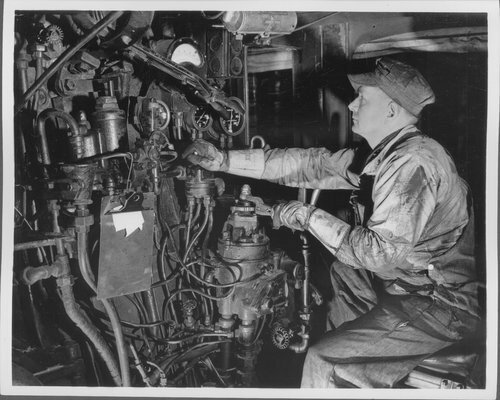 This black and white photograph shows an Atchison, Topeka & Santa Fe Railway engineer testing the air brake equipment on steam locomotive #3437. The brake valve which is being handled by his left hand, controls the automatic or train brakes. The brake valve in his right hand is the independent or locomotive brake valve.